Wouldn’t it be informative to gain insights from the experts — people who have years of hands-on, practical experience? On this page you will find dialogues and interviews with farmers & homesteaders, fruit & nut growers, and nurserymen who generously share their stories, knowledge, and expertise. Eric lives in Holyoke, MA where he manages and tends a small urban homestead. He is on the cutting edge of edible forest gardening and perennial food development for North America. 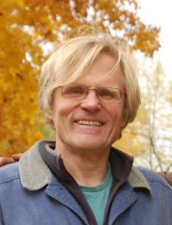 Eric is the author of Perennial Vegetables and the co-author of Edible Forest Gardens Vol. 1/2; he has a wealth of knowledge when it comes to permaculture design, tree crops, perennial vegetables, and food forestry. Learn more by visitings Eric’s website. Jerry Lehman is one of the leading authorities on American persimmon culture in NA. For the past 20+ years he has been following in the footsteps of great breeders like the late James Claypool and Joe MacDaniel, working to develop superior American persimmon cultivars. He is an advocate of establishing a commercial industry around the luscious and overlooked American persimmon fruit. To learn more about American persimmons and Jerry’s work visit www.persimmonpudding.com. Michael is the author of the classic guide for apple cultivation, The Apple Grower, and more recently The Holistic Orchard. 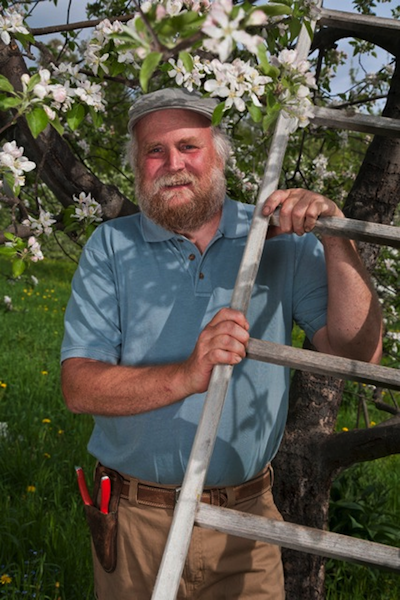 He owns and operates an organic apple orchard in the White Mountains of New Hampshire. His fruit growing work is on the forefront of ecological orchard management and pulls from permaculture and herbalism amongst other disciplines. Michael shares with us safe ways to manage pests & disease in the orchard, provide organic fertility to trees, and grow the tastiest and most nutrient dense fruit possible. Visit his website to find out more. Lee Reich turned from plant and soil research with Cornell Unniveristy and the USDA to consulting, writing, and lecturing about uncommon fruits, soil health, and luscious landscaping. He is the author of numerous popular gardening books including Uncommon Fruits For Every Garden, The Pruning Book, and Landscaping With Fruit. He grows a variety of vegetables, fruits, and nuts at his ‘farmden'(more than a garden, less than a farm) in New York state. Visit Lee’s website and blog to learn more. Ken Asmus is the owner and operator of Oikos Tree Crops, an edible plant nursery in SW Michigan that focuses on open pollinated seedling production. 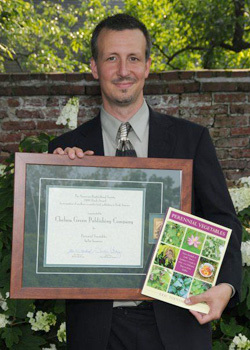 He has over 25 years of experience collecting, growing, and breeding a diversity of edible, medicinal, and useful plants. His work has been pivotal in developing blight resistant chestnut strains, improved wild plums, early-ripening American persimmons, and much more! He has also helped to popularize many underutilized crops like sunchokes, groundnuts, and pawpaws. Purchase plants and learn more about his company at www.oikostreecrops.com. I’m Steve, from Bermuda. Thank you very much for this interview! I’ve been appreciating Eric’s contribution to the permaculture/forest gardening community for a long time. I really loved the native/non-native conversation at the end. That’s a big subject for me – have you read Invasion Biology (David Theodoropoulis)? I look forward to listening to your future podcasts! Hey Trevor, thanks for this podcast! I’ll have to add his books to my reading list. Keep up the good work!